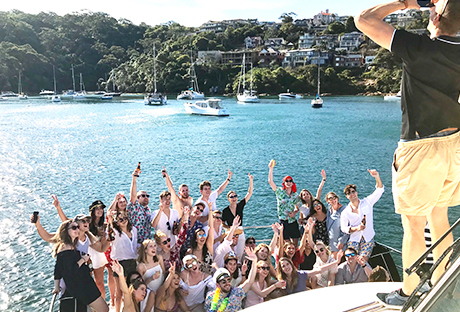 Have your heart set on a summer boat party this year, but don’t know where to start? Does it feel similar to walking down the streets of Newtown, Pyrmont or Balmain, trying to pick a café for brunch or to grab a coffee – to the locals or returning clients there always seems to be a front runner or two, but to others the choice can be simply overwhelming. 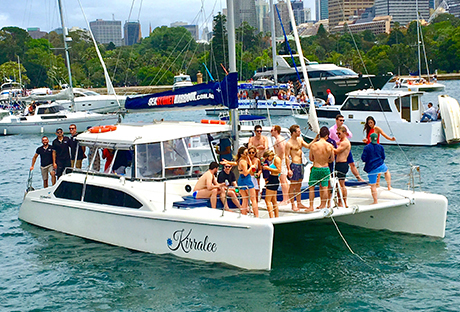 If you’re planning a party or gathering on Sydney Harbour, you should be confident with your vessel choice and service provider. Understanding how services differ is key to building this confidence and ensuring that you are 110% satisfied throughout the entire planning and partying process. We know the industry well, so the team has put together a shortlist on some of our points of difference. 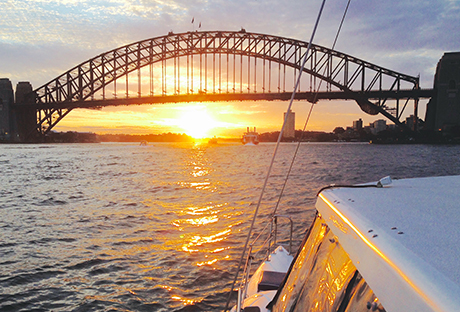 It highlights why you should choose Sea Sydney Harbour (SSH) for your next event on board a private catamaran and why we believe we will deliver you the best service on the harbour! 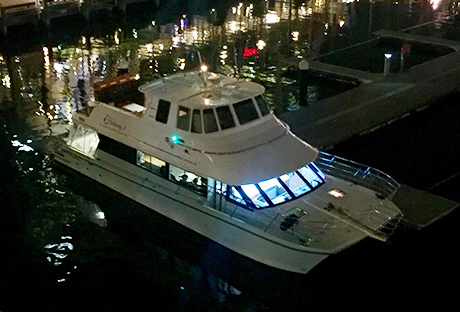 We specialise in CATAMARAN HIRE – Offering a selection of vessels to suit various group sizes and occasions allows the team to cater for a range of private events both day and night. With a focus on catamarans we are experts in this vessel style and we believe they are ideal for enjoying celebrations on board with their great layouts and large amount of space. We have a number of industry contacts, so even if our vessels are booked for the day, we can still assist by organising your event with one of our industry partners. 2. We deliver A+++ SERVICE – From your first point of contact through to after your cruise date, the SSH team delivers a high standard of service. All the events team and on board crew understand the importance of customer service, friendliness and respect, as well as organisation, so you can be confident that the service and plans you discuss with the SSH team will be executed without any hiccups. 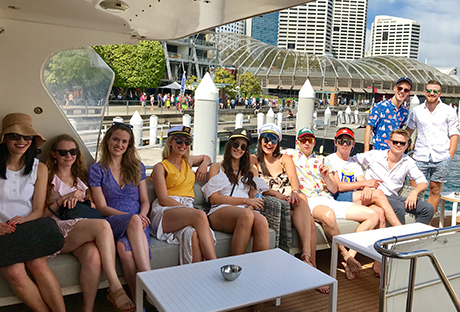 “BEST NIGHT EVER – I can’t thank Ann and the Sea Sydney Harbour team enough for making my Hens night just the best night ever! Being on the new Fleetwing II was amazing. Having the bar was great; everyone knew where to go to get a drink, the food was amazing and we had so much room to dance. We also could get great photos out of the front of the boat and on the top level. Plenty of options for people to sit as well. 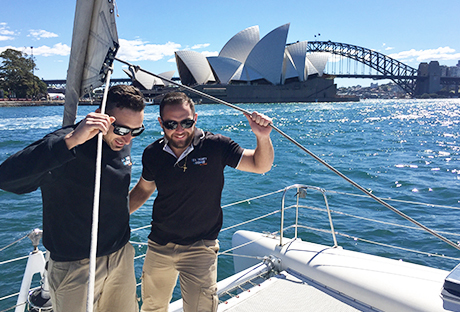 Discover further reviews and testimonials on the Sea Sydney Harbour website or Trip Advisor profile. 3. CUSTOMER CONVENIENCE – Everything that is offered with our exclusive vessel hire is designed to make it convenient for YOU! We have entertainment options available, as well as the option of catered or BYO cruises. If you do opt to BYO food and drinks we provide all disposables, eskies with ice, garbage disposal and use of our on board BBQ. The crew will even cook this for you so you can relax and enjoy the party! Drinks can be delivered directly to the vessel pre-cruise, so you don’t have to carry them on the day and these will be chilled and on ice ready for when you board. There are also no set wharf locations for embarking and disembarking the vessel, as we arrange these to your convenience. Better yet, if you’re going all out on the day, we can even offer limousine rides to and from the wharf location – talk about a one-stop planning service! 4. Our fleet includes HIGHLY MAINTAINED VESSELS – Our catamarans are some of the best looking on the harbour with great pride taken in the presentation and upkeep of the vessels. We understand that your celebrations will include photos and videos being taken for memories and social media, and we ensure our vessels are looking spick and span for you! Our vessel appearance is an extension of our brand image and reputation, hence you will always be sure to have a clean and safe vessel arrive punctually on the day. 5. FUN & POSITIVE ATTITUDES – The SSH team has a diverse range of personalities and skills, and the team is young, fun and professional. They all love boating and being on the water and they love meeting and mingling with new people. This means they bring their positive vibes to your party and ensure you are having a good time and the event is stress free! The crew will be sure to have a friendly chat with your group on the day, making your experience more personal and memorable and will work to accommodate any special cruise requests. The SSH team are experts in boating and event planning. 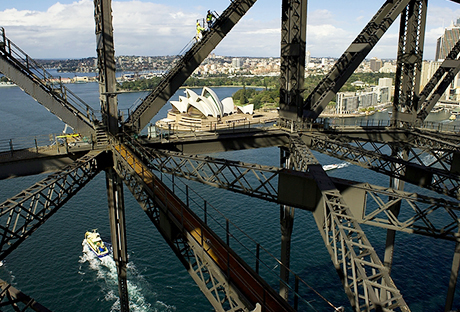 Our vision is to provide the opportunity for everyone to experience the joy of Sydney Harbour. While we may not be the cheapest on the block, we are the best at what we do – no one ever said the cheapest coffee on the strip was the best cup! Once you cruise with Sea Sydney Harbour there is no turning back, and you won’t feel the need to walk up and down the street overwhelmed with options. We guarantee an amazing service and memorable experiences on the harbour, with smiles and bonding amongst family, friends and colleagues. 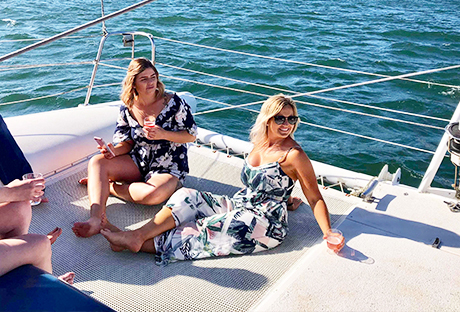 Our catamarans are suitable for private hire to celebrate birthdays, hen’s parties, buck’s parties, Christmas parties, and corporate events, social and family gatherings. Get in touch with the Sea Sydney Harbour team today to check vessel availability and find out more information – email info@seasydneyharbour.com.au or phone +61 452 188 739. Book early to secure your summer cruise date and avoid disappointment. Posted on December 1, 2018 December 9, 2018 Author AnnCategories All, Boats, Celebrations, VenuesTags boat, boating, catamaran, celebration, cruise, event planning, events, exclusive hire, fleet, floating venue, fun, harbour, harbour cruise, love sydney, on a boat, party venue, private charter, sea sydney harbour, sydney, sydney harbour, sydney views, venueLeave a comment on WHY CHOOSE SEA SYDNEY HARBOUR? It’s certainly public knowledge now that Captain Frank has a new girl that he’s been giving his attention to – by “girl” we do mean “vessel” – and he’s been spending much of his days with her, getting to know all the details. Her name is Fleetwing II, and she is a luxury motor catamaran that can accommodate for small to medium sized groups for private charters. She has been in Sydney Harbour for some years, but it is only in the recent months that the bond between Fleetwing II and Captain Frank has begun and he’s been giving her a bit of a facelift. Her new look officially launches in October, ready for a busy Summer season! 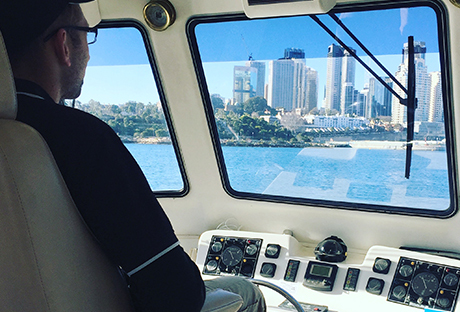 While it’s certainly still early days and the Captain has a lot to learn about the vessel, we wanted to find out what his favourite features were on Fleetwing II and why the Captain would recommend hiring this vessel for your next private function. 1. He loves THE WHEELHOUSE – traditionally the wheelhouse is defined as part of a boat or ship serving as shelter for the person at the helm. This space is very large on Fleetwing II and has all the equipment one would need to navigate the vessel. 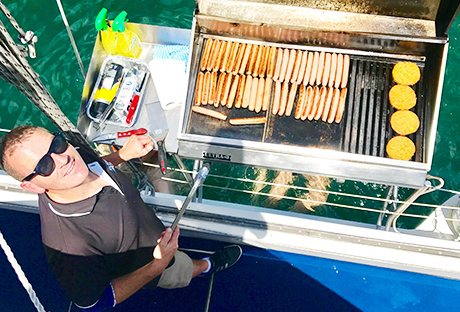 Captain Frank often invites guests to join him in the wheelhouse and shares his knowledge of the harbour and boats, while they enjoy the amazing Sydney Harbour views. 2. The SPACE IS FUNCTIONAL – with 3 main deck spaces on board including the internal cabin, the back deck and the upper deck, there is no shortage of space on this vessel. The spaces flow nicely together so guests can mingle with each other with ease, and the mix of indoor and outdoor areas makes this vessel ideal for all occasions throughout the year, whether it be in Summer or Winter. 3. He loves the BIG ENGINES – we don’t know much about the details of the engines, but there are two on board and they are big! If you ask the Captain about them, he would almost certainly be in his element. 4. 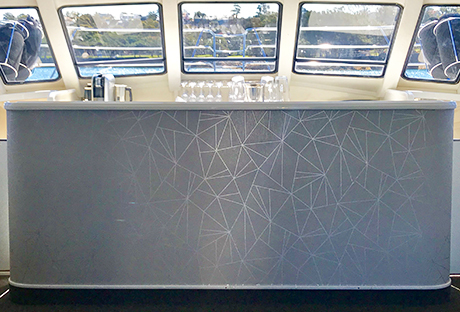 THE BAR is a great feature – situated in the ideal location at the bow of the vessel, the bar area is a great set up for both passengers on board and the crew. With it’s new metallic design, it is the focal point upon boarding the vessel and no doubt a place that guests cull to and love to have a chat. It’s a relatively spacious bar, which flows into galley access for the crew and for private charters there is the option to select a beverage package, purchase drinks on consumption or you can even BYO drinks, which are then served by the qualified RSA crew. 5. THE BOW AREA is a forgotten gem – often overlooked when talking about the flow and function of the space, the bow (or front of the vessel) is undoubtedly a great feature and great space to spend your time. 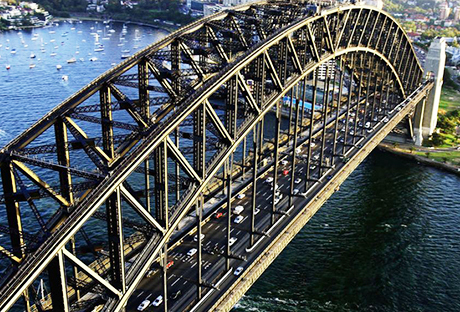 It’s from here that you can capture some amazing shots of Sydney Harbour! With easy access from the internal cabin, it’s a great place to soak in some sunshine, relax and enjoy your time on a boat. Talking about favourite features, we had to stop Captain Frank at 5, as he undoubtedly loves many things about this vessel. The Captain then went on to tell us about all the work that’s been happening behind the scenes to give Fleetwing II a new look, but we don’t want to spoil all the secrets – it’s best if you see these first hand on board! Fleetwing II is available for private charters all year round and the vessel is ideal to hire for your next function. 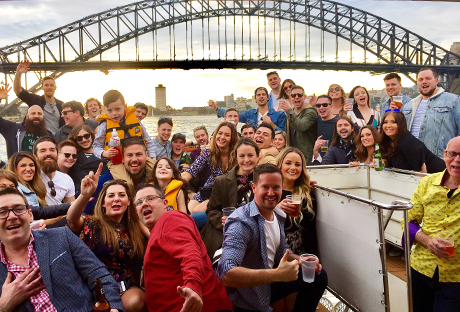 Whether it is a birthday, hen’s party, buck’s party, corporate event or Christmas party, Fleetwing II is the perfect floating venue on Sydney Harbour! 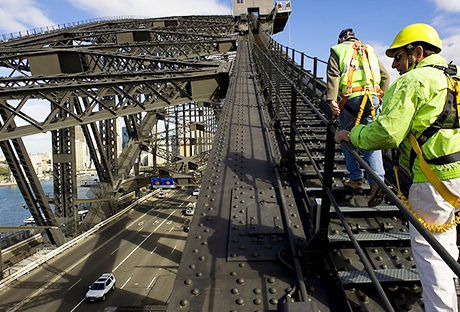 To find out more information contact the Sea Sydney Harbour team – email info@seasydneyharbour.com.au or phone +61 452 188 739.